Blockchain technology for digital securities is under development. Currently, off-chain validators play a central role to bridge the gap between what is available today and what is required for the democratization of digital securities. 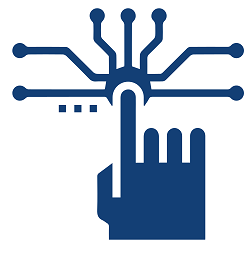 ‘Digital Securities’ is a collective name for electronically registered and transferable equity, debt, and assets that are issued and/or traded using blockchain technology. This article expands on 5 features that I believe should be in every digital securities’ issuer/investor its checklist. Some of these features are nice to have, and unlock benefits such as cost reduction, while others are mandatory and prevent failure down the line. 1. Privacy: The missing ingredient. Blockchains are famous for their public ledger. However, to compliantly use a blockchain for digital securities it is incredibly important that privacy is introduced. Note that securities are highly regulated products that need to comply with well-established compliance models that are enforced by task forces. The worlds’ best-established compliance models require protection of personal / customer data and adherence to privacy regulations. They serve to protect the players within the financial industry from leaking sensitive information and prevent market manipulation. Another key regulation that requires privacy in order to be compliant is Europe’s GDPR. To comply with GDPR’s ‘right to be forgotten’ (or be exempt from it) it’s paramount that public information on a ledger is (rendered) anonymous. Cryptocurrency traders monitor wallets and their transactions to-and-from exchanges to make large trades for their own individual benefit. In example: through re-identification the Mt.Gox Wallet addresses that hold BTC/BTCC have become public knowledge (cryptoground.com). If Bitcoin was a regulated asset this would likely be a breach of confidentiality / customer information. Additionally, on a public ledger traders who monitor transactions could enter into advantageous trades, while the seller gets an unfair price. Before investing in, or issuing, a digital security, it is advised to determine if the target infrastructure matches the securities’ privacy requirements. 2. Whitelisting — Automate it. Whitelisting refers to the process of ensuring that digital currencies do not end up in the hands of ineligible individuals or entities. Securities shouldn’t flow to regions that aren’t supported by the legal framework, and be solely traded by individuals or entities that meet the demands of identity verification (such as: KYC/AML) requirements. Use specialist blockchain infrastructure with smart contract capabilities that restricts trading among whitelisted individuals and entities on-chain. This preserves decentralization and speeds up the flow of transactions, while cutting out mediation fees. Think carefully about the policies and procedures for identity verification. Do you want to outsource this to a third-party, and if so, do you want to pay mediation fees on top? Remember using a smart-contract doesn’t mean you can’t outsource specific tasks such as identity verification. Note: I anticipate top-tier identity verification service providers to start selling whitelisted/verified addresses as a service. 3. Restrictions — It’s comprehensive. 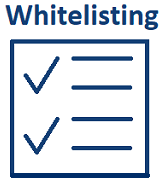 Whitelisting is just one piece of the restriction catalogue. The rights of the shareholder agreements, corporate statutes and legislation such as the directives or exemptions used to issue Digital Securities must be adhered to at all times. Use Specialist blockchain infrastructure that supports smart contracts that can manage all of them, or resort of off-chain validators. Carefully study your shareholders’ rights and legislative requirements to define which restrictions need to be included in the smart contract that manages them and assess the fit. 4. Error Messaging — ELI5 this. Transactions can fail for multiple reasons. Is the recipient not whitelisted? Is your balance insufficient to cover gas fees? Is a restriction triggered? Specialist blockchain infrastructure should support understandable error messages. Ask yourself, how tech savvy are digital securities’ investors? And, will blockchain experts need to be involved to understand the audit trail? Choose wisely. Additionally, it is advisable to find an infrastructure that allows users to query the blockchain and determine whether a transaction will complete before they initiate it. New technology can be frightening and a barrier to enter into an investment. The usability of the technology is an important consideration. 5. Controllable Standard — A necessity? 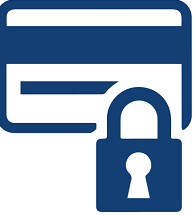 Recover digital securities if access to the wallet is lost. Comply with court requests for forced transfers. Exercise a drag-along right, which enables a majority shareholder to force a minority shareholder to join in the sale of a company. Retrieve securities when the company goes public. Since forced transactions are high-impact actions a system is justified that prevents impulsive or unauthorized actions. Threshold signatures are a possible solution that requires multiple parties to sign-off before carrying out a forced transaction. Consider counterparty and hacking risk. Perform thorough checks on how business continuity is managed during the full life-cycle of the securities. Be wary of setups that have a single-point-of-failure, such as full and sole authority of the issuer to force transactions without the possibility of intervention. The Dusk Network is committed to offer a global standard for digital securities that meet the various needs of the market. Our infrastructure tackles the challenge at its deepest layer. With Dusk you are in charge of your securities from start to finish. You can issue, register, and trade digital securities while complying with all regulatory requirements. We welcome questions and input for future features.